Perhaps it is everywhere- on water and land." I love the Walt Whitman quotation! 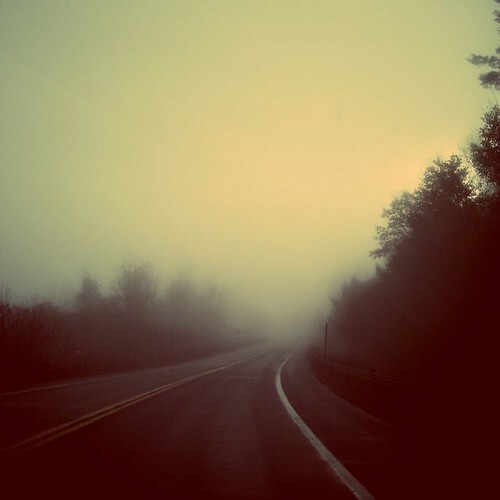 Yes, the road we travel is sometimes misty (love the photo) and we can't see what's round the bend, but we keep going knowing that this is the only way to move forward! I hope your Tuesday's path is not too misty. We are in greyness today and I'm wondering if the sun will actually get through. i'm still traveling along that road since then!!! Ahhh, the path we choose to take for ourselves not really knowing where it will lead. I love this quote- and what an AMAZING photo. It's perfect!